Dr. Forghani originally is from California, where he attended California State University and earned his Bachelor of Science degree in Biology and Chemistry. Further, he earned his Master’s degree in Biomedical Science from Midwestern University, Arizona. He traveled to New York University and attended the New York University College of Dentistry for his DDS degree. 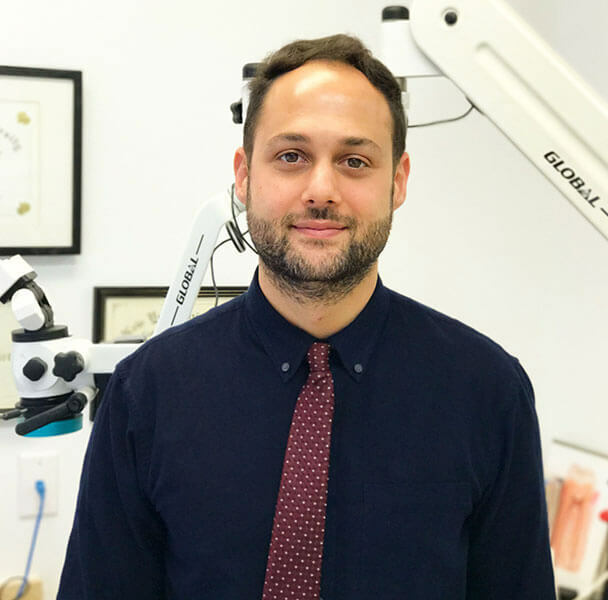 Dr. Forghani completed his advanced education in Endodontics at the NYU College of Dentistry with extensive training on the use of advanced Endodontic techniques in surgical and nonsurgical procedures and graduated with Honors in teaching. Dr. Forghani currently serves as Clinical Associate Professor in the Department of Postgraduate Endodontics program at NYU and travels periodically with the global outreach program providing dental care to underserved populations in Grenada, Mexico, Maine, and Nepal.